Congress has not substantively altered patent law for more than 50 years. The patent system is simply not up to the challenges of the 21st century and is handicapping the American knowledge economy. John Conyers – Roll Call July 12, 2010. The last comprehensive re-write of patent laws occurred more than 50 years ago, decades before the modern technology revolution had begun. The argument that our patent laws have not been update in more than fifty years is a BIG LIE. Here are a partial list of changes in patent law in the last thirty years. This was a backhanded way of instituting a working requirement. The U.S. hads rejected a working requirement throughout our history. Working requirements for patents undermine the inventor’s right in their invention and are common among third world countries that do not protect an inventor’s rights in their invention. Court of Appeals for the Federal Circuit created. 35 USC 141, 28 USC 1295. Arbitration of disputes relating to patent infringement or validity authorized 35 USC 294. Protection from finding of obviousness over work of co-employees etc. 35 USC 103 (c). Clarification that to be a joint inventor the inventors did not have to work together or each be an inventor of subject matter of every claim. 35 USC 115(a). Statutory Invention Registration scheme introduced 35 USC 157. Definition of infringement amended to include importation into the United States of products made abroad by a process covered by a U.S. patent and to reverse the burden of proof in certain cases of alleged infringement of a process patent. (Process Patents Amendment Act) 35 USC 271(g), 35 USC 287, 35 USC 295. Definition of infringement amended to include application to FDA for marketing approval of a patented drug to be effective before the expiration of the patent but to remove from patent infringement acts relating to collecting data for use in submissions to the FDA for marketing approval of a drug etc. 35 USC 271(e). Patent Misuse Reform Act made it clear that patent was not unenforceable for misuse on the basis that patentee had refused to license the patent or on the basis of tying arrangements unless the patentee had market power in the relevant market. 35 USC 271(d). This was passed in part to harmonize our laws with other countries. A major justification for changing our patent laws over the last 15 years has been to harmonize with other countries. The other countries have done nothing to harmonize with our laws and their patent laws have not been nearly as effective at encouraging invention. The other reason this provision was passed was because of problems associated with the delay in issuing patents. Instead of solving the delay in the Patent Office, we changed the term of patents. The Court of Appeals for the Federal Circuit in State Street Bank v. Signature Financial. holds that there is no prohibition in U.S. law on patents for business methods as long as they are new, useful and non-obvious. The Intellectual Property and Communications Omnibus Reform Act of 1999 is passed. This law makes a number of amendments to the United States Patent Law and also includes provisions intended to curtail cybersquatting and to deal with satellite home viewing and rural local television signals. The changes to the United States Patent Law include providing for early publication of patent applications where equivalent applications are published abroad, the protection of inventors using the services of invention promotion services and first inventor (prior user) defense for prior users of business methods. Other changes were also made to the US Patent Law. You can learn more by referring to the following articles: US Patent Law Amendments 1999 and United States – 1999 – 2000 Revisions of the Patent Law and Rules. The Publication Law was a huge change in our patent laws – it was also a breach of the social contract between the inventor and society. Harmonization was again the justification for this change that destroyed the fundamental basis of our patent laws. Amendments relating to re-examination practice to try to make this option more useful and to clarify the law on the effect of a third party’s prior PCT application on a later-filed U.S. application. This is another provision to harmonize our patent laws with other countries. 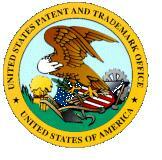 Jon Dudas appointed as Director of the Patent and Trademark Office (PTO). He institutes Rejections equals Quality. Mr. Dudas is not a patent attorney, never passed the patent bar, never filed for a patent, never worked for a technology company. But, like many of our government bureaucrats he knew more than anyone. During his tenure he almost completely destroyed our patent system. His actions were traitorous. eBay Inc v. MercExchange, L.L.C., 547 U.S. 388 (2006) holding that a permanent injunction should not automatically issue as part of a judgment of infringement. This case was based on a mischaracterization by the Supreme Court that enforcing patent rights is an injunction and an equitable remedy. In a patent case, an order that the infringer stop infringing is enforcing the inventor’s patent rights, it is not an equitable remedy. Medimmune, Inc. v. Genetech, Inc., 549 U.S. 118 (2007), Supreme Court overturns a long-standing rule that a licensed patent user cannot file a declaratory judgment action when they have not breached the license terms. KSR International v. Teleflex, 550 U.S. 398 (2007) the Supreme Court makes it easier to find a patent invalid and harder to obtain a patent by changing the standard for obviousness from an objective standard to a subjective standard. In re Bilski, Supreme Court changes the standard of patentable subject matter, from everything under the sun made by man to a confused standard. The Court stated the machine or transformation test is not the sole test but many of the Justices wanted a categorical rule against business methods. How can anyone suggest that the last comprehensive changes to our patent laws were fifty years ago?? By same logic, the US Constitution has not undergone a major substantive “reform” for about 200 years. Before we waste our time on the merely 50-years-since patent law, we should totally reform the 200-years-since US Constitution to “harmonize” it with the laws of China, Iran and other such First World nations. And that’s only the beginning of much needed “reform” and “harmonization” for our otherwise not majorly reformed in the last 200+ years Constitution. Yes, and property shall be distributed based on scarcity – as opposed to creation. By edict of Czar Stephan Kinsella. And read my lips: No new Texas. whose aims were pursuit of happiness and securing for ourselves and our progeny a more perfect union that promotes the general welfare as well as progress of science and the useful arts. Yes, we need good old fashion values like those proposed by the great Kathleen Sebelius. Off with the heads of those siditious people who dare contradict that the wise ruling class. The first amendment needs to be updated – it hasn’t changed in over 200 years.